Victory is the joy of finding someone wonderful to love for a lifetime! We celebrate great victories because they do not come easily. This marriage came to me after years of disappointing dates, pressing through hopeless and lonely nights, facing fears of intimacy, overcoming the panic of losing autonomy, putting past hurts behind me, and wrestling to discover God’s will for my life. 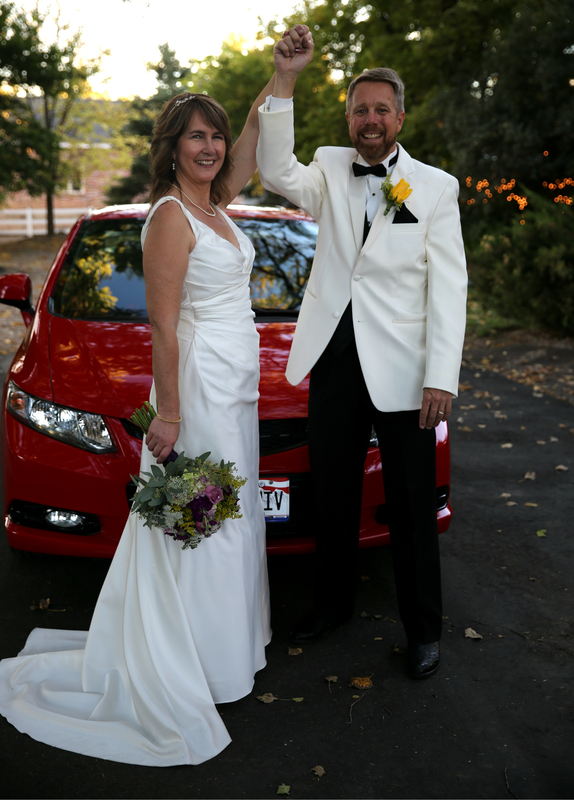 We celebrated our victory of love in a fairy tale Colorado wedding on Oct 11th, 2015! Thank you so much, Georgette! I wanted to include the struggles to encourage all those wonderful singles out there! That’s right! Thanks for being so wonderful, Mom! Congratulation on your wedding and for your biggest victory which I think is putting all the past hurts behind you and be able to love again. Wishing you both a happy marriage. I agree, that’s very tough, we’ve both had to do that. Thanks for your comment and wishes!